Cutting Industry The Metal Cutting Industry plays a crucial role in the growth and development of the Indian manufacturing Sector. From machine tools to cutting tools, from saw blades to laser machines, from plasma cutters to water jet cutters, from accessories and metrology equipment to lubricants and everything in between, the metal cutting industry is a very complex and comprehensive segment. While imported supplies used to be the dominant source in this till the recent times, the last decade has seen the rise of the domestic suppliers to a great extent. The Economic Times, through its series of Best Brands, endeavors to highlight brands that have gained customers’ confidence and maintained their positions even in the difficult times. The Economic Times Best Brands series has already made its mark across different segments such as Banking & Finance, Education, Infrastructure, Technology, Corporate, Real Estate, Healthcare, Infrastructure as well as Plastics & Polymers. The Metal Cutting Industry plays a crucial role in the growth and development of the Indian manufacturing Sector. From machine tools to cutting tools, from saw blades to laser machines, from plasma cutters to water jet cutters, from accessories and metrology equipment to lubricants and everything in between, the metal cutting industry is a very complex and comprehensive segment. While imported supplies used to be the dominant source in this till the recent times, the last decade has seen the rise of the domestic suppliers to a great extent. Kamal Bali has joined the Volvo Group in India in April 2014, as Managing Director and a Board member of the company. 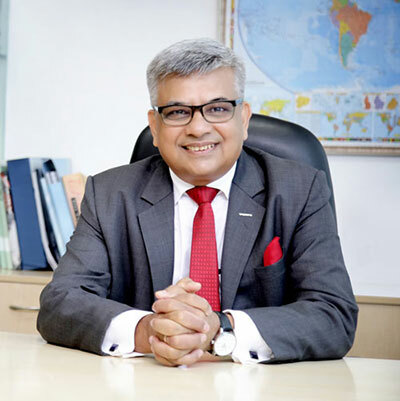 With an illustrious career spanning over three decades, predominantly in the automotive industry, Kamal has worked for well-known Indian brands and established multinational corporations in India. To bring in more credibility to this initiative we have roped in BDB India Pvt Ltd as a neutral Knowledge partner. BDB India Private Limited is a leading global business strategy consulting and market research company in India. Since 1989, BDB has been providing clients with solutions to expand their businesses in the Indian and international marketplace. It is an ISO certified company.